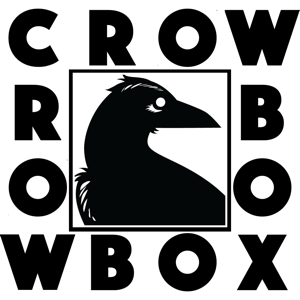 The CrowBox is an experimentation platform designed to autonomously train corvids (the family of birds crows belong to). So far we’ve trained captive crows to deposit dropped coins they found on the ground in exchange for peanuts. The next step is to work with wild corvids and see if we can get them to learn to use the box, then to optimize the training protocol to see how quickly they can learn from each other. That's where you come in. Different corvids learn at different speeds and in different ways, and the only way to figure out the best way to teach them is experimentation. The more people try different things the faster we'll all figure out how to work cooperatively with crows. Once we’ve got the system optimized for teaching coin collection we can move to seeing how flexibly they can learn *other* tasks, like collecting garbage, sorting through discarded electronics, or maybe even search and rescue. The idea isn't to get rich off found coins - we want to change the world through learning how to cooperate with other species. So far the crowbox has been shown to work with captive crows. Now we're releasing the open sourced designs of the new CrowBox so anyone can try it with their own wild corvid populations! "Hacker and author Joshua Klein is fascinated by crows. After a long amateur study of corvid behavior, he's come up with an elegant machine that may form a new bond between animal and human." Follow our guide to download and make or order the housing, order the electronics, and use our build videos to make your own. The design of the CrowBox is Open Source, so you're free to make your own, edit the files, and contribute to the project. Total cost will depend on where you buy your parts plus shipping, but we worked hard to keep it below USD $100. Once your box is built, choose your location and start seeding your local corvid community. Need help? Access the Google Forum, check out the wiki, and/or join the mailing list! Nobody's going to get rich training corvids, but we might just change how humanity engages with other species. The CrowBox is an appliance for experimentation in training and interacting with these birds: it's our goal to get people to think differently about how humanity is already training animals like crows, rats, racoons, deer, and other animals that live near us. Right now we're teaching them to survive as parasites; what would happen if we could find mutually beneficial working relationships instead? Access the Google Forum, check out the wiki, and/or join the mailing list to let us know how it works for you - it’s only by working together that we’ll be able to create the most efficient method for training these birds!